Branding options – How can we help you today? Learn how to use a custom logo on your dashboard. Apply your logo to the six dashboard display settings. Replace the dashboard logo with text. 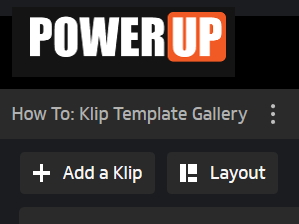 You can replaced the Klipfolio logo with your own logo in order to brand your dashboard. Personalizing your dashboard is easy and only takes a few moments and all you need is a GIF, JPEG, or PNG image file of your logo. 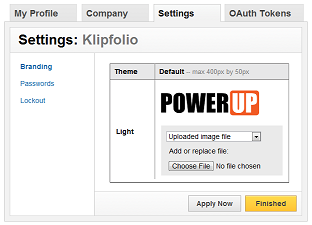 When you add your logo to Klipfolio, you will be able to apply the logo to the Light and Dark theme settings. As well, you will need to import images for the Default, Full Screen, and Mobile dashboard views. Click the Edit link beside the Logos heading. Select Upload image file from the menu. Browse your computer for an appropriate image file. Repeat steps 4-6 for each Dashboard screen setting. Repeat steps 4-6 for the Dark theme. Your custom logo will now appear instead of the Klipfolio logo. 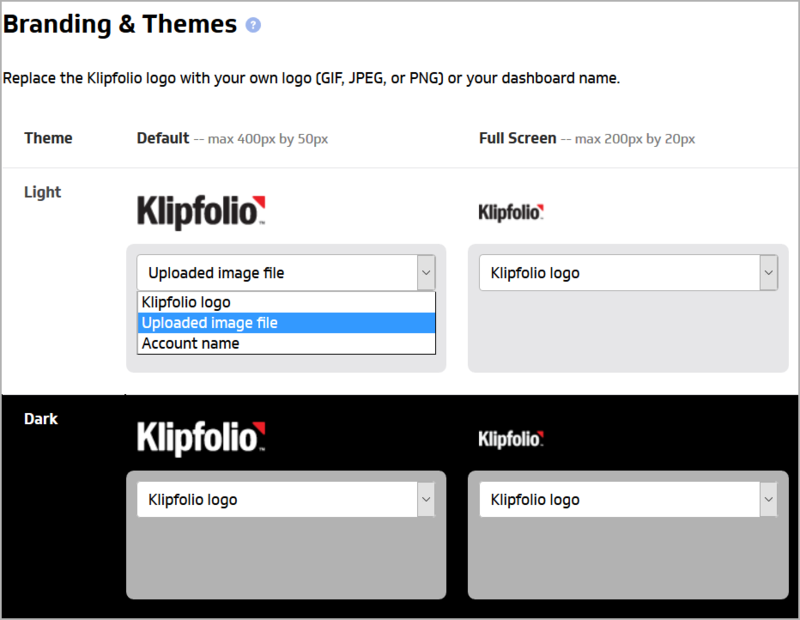 Klipfolio will automatically change your logo to suit the theme that you are using. Here is a sample logo displayed on the Dashboard using the Light theme. 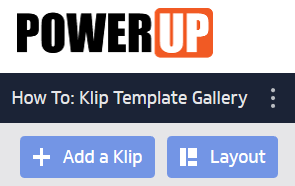 Klipfolio will automatically change your logo to suit the theme that you are using. Here is a sample logo displayed on the Dashboard using the Dark theme. How do I export my dashboard as a PDF?